Space company Uwingu announces the launch of the world’s first ‘Adopt-a-Planet’ campaign. This open-ended campaign gives anyone in the public—worldwide—the opportunity to adopt planets around other stars at www.uwingu.com. BOULDER, Colo. - May 1, 2013 - PRLog -- Boulder, Colorado— Today, space company UwinguTM announced the launch of the world’s first ‘Adopt-a-Planet’ campaign. This open-ended campaign gives anyone in the public—worldwide—the opportunity to adopt exoplanets in astronomical databases via Uwingu’s web site at www.uwingu.com. Proceeds from the naming and voting will continue to help fuel new Uwingu grants to fund space exploration, research, and education. Astronomers have detected and confirmed over 700 planets orbiting distant stars. Called ‘exoplanets,’ these planets have been given technical names such as “HD 222582 b” by astronomers, but not memorable human-friendly names, like the constellations or comets have. Via the Adopt-a-Planet campaign, Uwingu, working with the public, plans to create names for many or even all of these fascinating, distant worlds. In Uwingu’s Adopt-a-Planet campaign, any nominated name that reaches 1,000 votes will qualify its namer to adopt the exoplanet of their choice with that name. 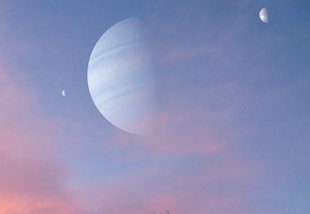 Winners can choose which planet they would like to name from exoplanet lists created by astronomers. Adopted planets and the planet’s name’s originator will be publicized by Uwingu. Additionally, the namer will receive $100 in Uwingu store credits, an adoption certificate, and links to in-depth information about their adopted planet. The first 10 names to reach adoption status will receive $500 in Uwingu naming/voting credits as a bonus. Uwingu will also give recognition to names that reach thresholds of 100 and 500 votes as they climb toward adoption eligibility. Uwingu’s current “baby book” of names is growing daily, with over 1,240 names submitted to date. About Uwingu: Uwingu (which means “sky” in Swahili, and is pronounced “oo-wing-oo”) was formed by a team of leading astronomers, planetary scientists, former space program executives, and educators. The company includes space historian and author Andrew Chaikin, space educator Dr. Emily CoBabe-Ammann, citizen science leader Dr. Pamela Gay, author and former museum science director Dr. David Grinspoon, planet hunter Dr. Geoff Marcy, planetary scientist and aerospace executive Dr. Teresa Segura, planetary scientist and former NASA science boss Dr. Alan Stern, planetary scientist and CEO of the Planetary Science Institute, Dr. Mark Sykes, former Executive Director of the Planetary Society Dr. Louis Friedman, and space artists Jon Lomberg and Dan Durda. In September, Uwingu successfully concluded one of the 25 largest Indiegogo crowd-funding campaigns ever to launch an ongoing series of public engagement projects. Visit Uwingu’s web site at www.uwingu.com to learn more. For more information, contact Dr. Alan Stern at stern@uwingu.com (mailto:stern@uwingu.com), or at 970-281-SKY1. Follow Uwingu on Twitter @UwinguSky; and friend Uwingu on Facebook. Make a Heavenly Impact on Mom with an Uwingu Mother's Day Space Gift!